Here at Budds’ BMW Oakville, we possess the professionalism, knowledge, inventory, and team to deliver a selection of used cars that customers will enjoy. As professionals in the automobile industry, it is our desire to help you buy used cars that exceed your expectations. We are a full service dealership with an extensive used car department that provides the services required to satisfy our customers, including parts, service and finance. We understand that it can be challenging to buy used cars with so many options and opportunities available today. To enhance the buying experience, we offer a broad selection of automobiles for customers to view, test drive and make an informed decision before purchasing. Our dedicated team is available to steer you in the proper direction based on the list of needs and wants that customers provide. Every used car at our dealership has undergone testing for specific standards of quality, reliability and performance. 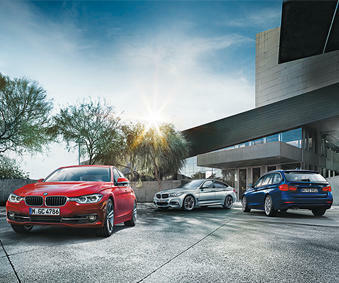 Customers know that hey are purchasing a dependable vehicle that they can rely on at Budds’ BMW Oakville. Budds’ BMW understands that purchasing a vehicle can be an involved process but we want to make it an enjoyable one for all. We commit to service our customers before, during and after the sale in order to make sure that you get the most out of your used car. Our support staff values you as a customer and wants you to know that your happiness is our primary concern. When you buy used cars for sale at our dealership, you become a part of the family and we take care of family. If you’re in the market to buy a used car, you should visit Budds’ BMW Oakville for purchasing advice or to schedule a test drive today.